Cumulonimbus cloud detection in cyclone image is very important for forecasting the rains, weather conditions, and the direction of cyclone in remote sensing applications. Many image processing techniques are used for identification of the types of clouds using single band, multiple bands with clustering, multiple thresholding techniques and details of texture features, color values and sensor parameters of IR and VIS bands. These methods are not given sophisticated results to retrieving the object details. This proposed technique using independent component analysis for segmentation, its give satisfaction values for cloud types. The overall band details are appearing into a limited number of channels and extract the multiple objects with spatial and spectral features of cloud regions. The Authors are grateful to the Technical Education Quality Improvement Programme, Phase II, Center of Excellence [TEQIP 1.2.1 (CoE)], Sri Venkateswara University College of Engineering, for providing L-Band Receiver NOAA multispectral images and training equipment. 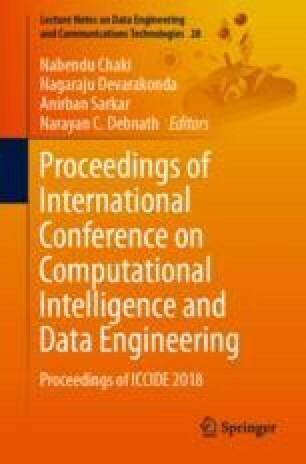 Thanks for Vignan’s foundation for science, technology and Research, Vadlamudi for providing this grateful opportunity in international conference (International Conference on Computational Intelligence & Data Engineering, ICCIDE-2018).